From the best-selling author of The Solitude of Prime Numbers, a searing novel of war and the journey from youth into manhood. In Paolo Giordano's highly awaited new novel, a platoon of young men and one woman soldier leaves Italy for one of the most dangerous places on Earth. Forward Operating Base (FOB) in the Gulistan district of Afghanistan is nothing but an exposed sandpit - scorched by inescapable sunlight and deadly mortar fire. Each member in the platoon manages the toxic mix of boredom and fear that is life at the FOB in his own way. Brash Cederna shamelessly picks on the virgin Ietri. Giulia Zampieri seemingly navigates this male-dominated world with ease - until two male comrades start vying for her attention. And for medical officer Alessandro Egitto, the FOB serves as an escape from a real life even more dangerous than one fought with guns. At night, lying on their beds, they feel the beat of their own hearts, the ceaseless activity of the human body. But when a much-debated mission goes devastatingly awry, the soldiers find their lives changed in an instant. 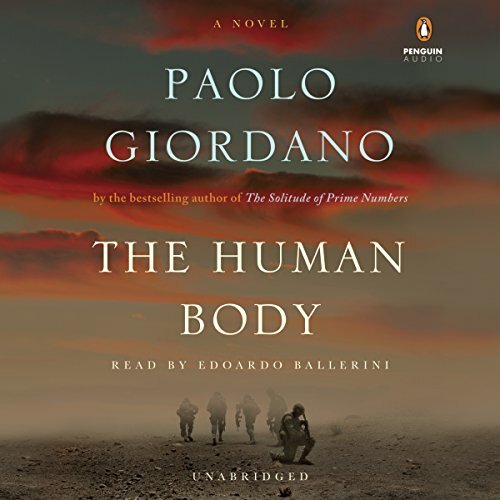 A heartrending, redemptive story about brotherhood and family, modern war and the wars we wage with ourselves, Paolo Giordano's visceral novel reminds us what it is to be human.